These days, many of us are more then prepared to give our kitchens a serious upgrade, bringing them onto the level of those used by professionals, and we here at Silke pride ourselves on being able to deliver that level of quality to our customers. Of course, we couldn’t create our high quality German kitchen-inspired packages to you without trusted and valued brands to back us up, and we like to highlight some of those brands to assure you of the level of quality you get with a Silke kitchen. Today, we’ll be looking at Wolf. The other half of the Sub-Zero & Wolf joint company, Wolf take on the task of dealing with the other side of the kitchen; food preparation. Much like their cooler half, Wolf proudly proclaim their dedication to providing the best possible temperature across their various lines, none more so then their patented Dual Convection system, which they claim is not only unique to them, but was also specifically designed to ensure that an even distribution of heat remains consistent throughout the cooking process, regardless of whether you’re baking a soufflé, or roasting a turkey. Their line of Convection Ovens require no plumbing, as they use a built-in water reservoir to generate steam, meaning they can be set anywhere in the kitchen with relative ease; add in that products like the ICBCSO30PE/S/PH are said to be able to boil, sauté, even simmer as you could on a worktop, as well as even fry foodstuff without a single drop of oil, all while retaining a full flavour, and it sounds like the obvious choice. 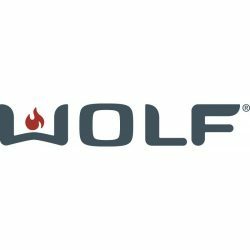 If you are looking for a more conventional oven, though, Wolf has you covered with a very varied line of Built-In ovens that run the gamut from Conventional, to Transitional, and Professional ovens, in both single and double varieties, with a whole host of aesthetic designs guaranteed to match whatever German kitchen design you favour. As if that didn’t already sound fantastic, Wolf also provides amenities you had no idea you wanted, but won’t be able to live without once you know they offer them; they offer a range of Coffee Systems that, much like their Double Convection ovens, don’t require plumbing and can thus be installed wherever needed, and also boast full customisation of your coffee of choice, allowing you to control the temperature, strength, and even the level of foam you require for your perfect cup of coffee. And then, there’s the ICBWWD30, their sole model of Warming Drawer, which on top of allowing you to alter the front to accommodate for wood panelling to match your cabinets if need be, also keeps the controls hidden unless pulled out, meaning it will blend in seamlessly with the rest of your drawers nicely. Of course, that wouldn’t mean much if it didn’t use the same air/temperature distribution technology that their ovens do to keep plates or meals nice and warm, or if it couldn’t- as Wolf boldly states- allow dough to rise just right every single time on it’s ‘Proof’ setting; thankfully, it can. Wolf’s products allow you complete command of your kitchen environment, and are so expertly designed that you almost can’t have a high quality German kitchen without one of their units sitting nicely within it.